“Just want to make it simpler to remember key Azure links. All of my shortcuts will start with aka.ms/Azure/<the thing> …”. 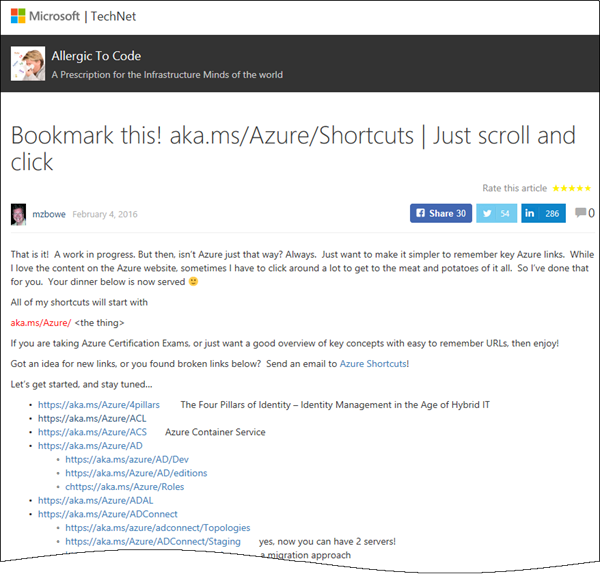 as for example https://aka.ms/Azure/VM, https://aka.ms/Azure/GraphAPI and a ton of more shortcuts.